A motorcyclist was critically injured and the driver of a car transported to hospital last night around 9:00 p.m. after a collision on W. Little York and Plantation Crest. Investigators told Channel 2 News Houston that the man riding the motorcycle pulled out of the Wal-Mart parking lot and accelerated away at a high rate of speed. A woman who had just pulled onto W. Little York didn’t see the motorcycle, and the bike crashed into the side of the woman’s car, throwing the man from his motorbike. 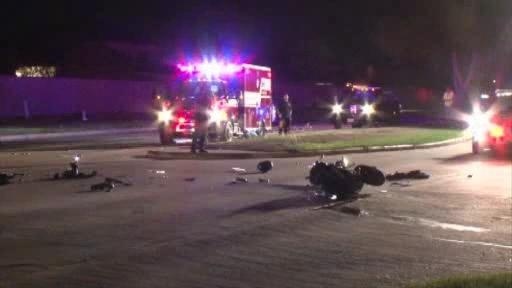 The woman’s arm was injured and the motorcyclist was taken via life flight to Memorial Hermann. This entry was posted on Thursday, September 26th, 2013 at 2:52 pm and is filed under Auto Accident, Motorcycle Accidents.